Rosacea is a chronic inflammatory disease that affects the skin on the face and sometimes the eyes. No one knows what causes rosacea, but it may run in families or be the result of an immune system dysfunction caused by a substance called cathelicidin. People with rosacea have an excessive amount of cathelicidin in their skin, which may explain why they react to certain environmental triggers. Erythematotangiectatic rosacea affects the face. 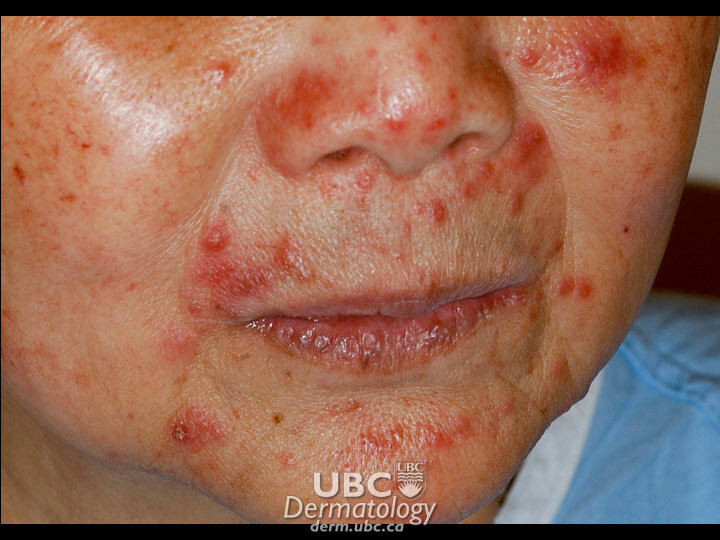 Papulopustular rosacea affects the face. 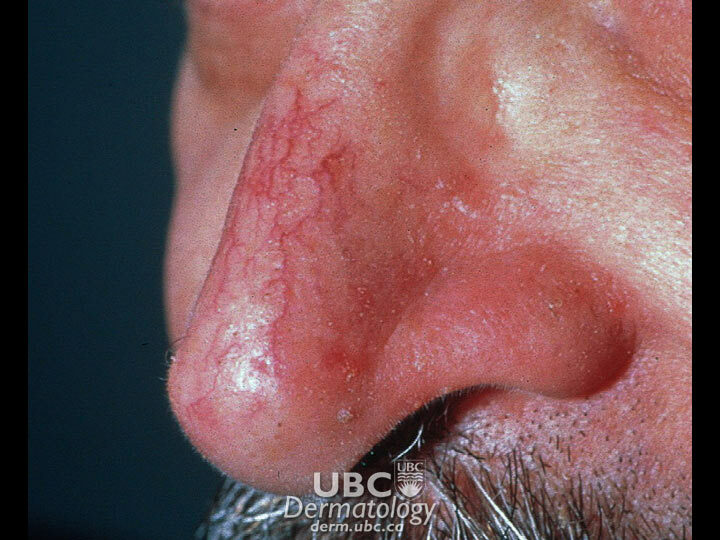 Phymatous rosacea affects the nose. Ocular rosacea affects the eyes. It is estimated that 10 per cent of the world’s population has rosacea. Approximately 2 million Canadians, about 6 per cent of the population, have rosacea. People between the ages of 30 and 60 years are most typically affected. It is most common in women and people with fair skin. Up to 40 per cent of affected men and women have a family member with rosacea.